Profile: Approximately 750,000 people, predominantly indigenous, live within a three hour radius of Curahuasi, Peru. 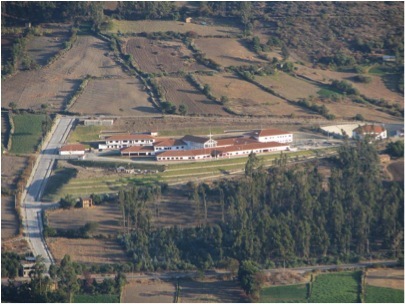 Hospital Diospi Suyana offers comprehensive care to these descendants of the ancient Incas. The facility is equipped with 55 beds, four operating rooms, a five-bed intensive care unit, laboratory and radiology department (X-ray, ultrasound, and CT scan). The hospital is staffed by both Peruvian and expatriate staff. Travel: You will fly by commercial airline into Lima, the capital city of Peru. Depending on the flight times it might be necessary to overnight in Lima. From Lima you will take a smaller flight to Cuzco. Again, depending on flight times, you might need to overnight in Cuzco. From Cuzco you will travel by ground transportation to Hospital Diospi Suyana. Ground transportation is usually in the form of a hired taxi arranged by the hospital, and normally takes two and one-half hours. Time Difference: -1 hour Eastern Daylight Savings Time, U.S.A. Same time as Eastern Standard Time, U.S.A. Location: The small town of Curahuasi, Peru is located in the Andes Mountains. Curahuasi is in the region of Apurimac, known as the poorhouse of Peru. Curahuasi is approximately 85 miles from Cusco, Peru. People: The people in Curahuasi and the surrounding countryside are Quechua, but do not like to be called as such. They prefer the term “Quechua Hablante” (meaning one who speaks Quechua). Religion: The area is predominantly Catholic with 10 percent being evangelicals. The area also has a lot of superstition and animism carried over from old Incan religious traditions. Climate: Curahuasi is situated approximately 9,100 feet above sea level. The temperature stays consistent year round, with highs in the mid 70s during the day and lows in the mid 50s during the evenings. Curahuasi has a distinct rainy season which usually begins in November and continues until April. April through November is generally very dry. This time of year can be very dusty and might not be a very enjoyable time for allergy sufferers. Food: There are a couple decent restaurants in Curahuasi with the average price for the “Meal of the Day” ranging between 2-4 Nuevo Soles (currently about $0.60-$1.20 USD) and 7-10 Nuevo Soles for an ordered menu ($2-$3 USD). Basic grocery items are available in many small corner stores throughout the town. This includes such things as rice, pasta, tuna, colas, cooking oil, flour, etc. A wider variety of groceries can be found in the Santa Cecilia grocery store in Abancay or in the Mega store in Cusco. The water that comes out of the tap is not drinkable. Bottled water is available in many of the local shops for 1 Nuevo Sol per 720ml bottle (currently about $0.30 USD).